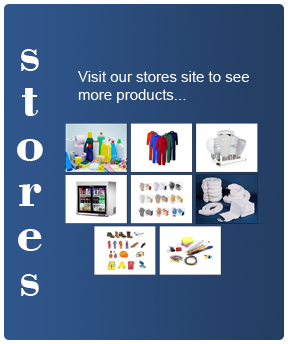 PROVISION OF MARINE AND INDUSTRIAL EQUIPMENT CONSUMABLES AND SPARE PARTS. INSTALLATION, MAINTENANCE AND REPAIR OF AIR CONDITIONING AND REFRIGERATION SYSTEMS. 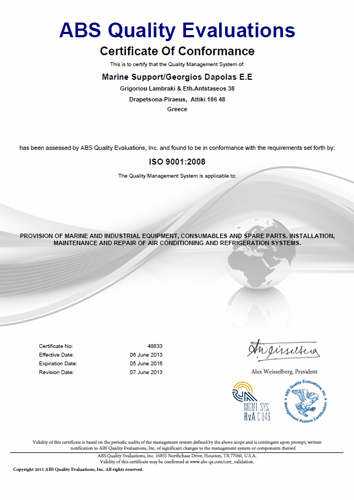 Also, our company is a proud member of ISSA (International Ships Suppliers Association) which is the international association represanting nearly 2.000 suppliers throughout the world.